Ripples, the Community Magazine for Fairford, Lechlade and surrounding villages, is published by Adrian Young and Graham Fry. Ripples Community Magazine is published monthly except January and August. The deadline for contributions and advertising is the 2nd Friday of the month before publication. Using local reporters and contributors, Ripples brings you news stories, pictures and information to celebrate life in the south-east Cotswolds. 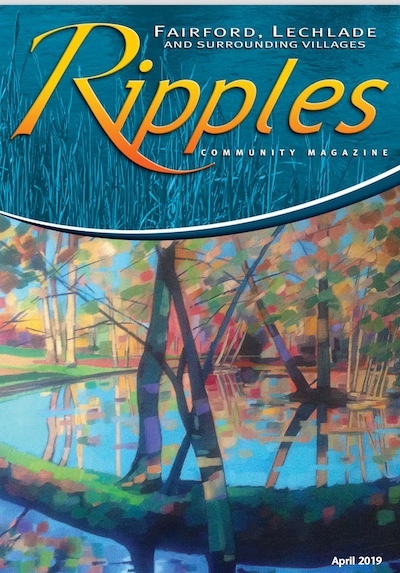 To read the current Ripples Community Magazine simply click on the cover image.